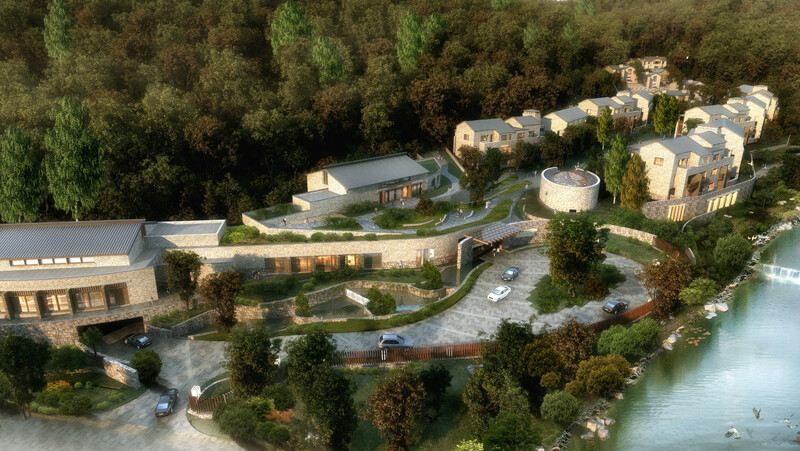 The Lakeside Great Wall Hotel is integrated with and inspired by the existing natural environment. 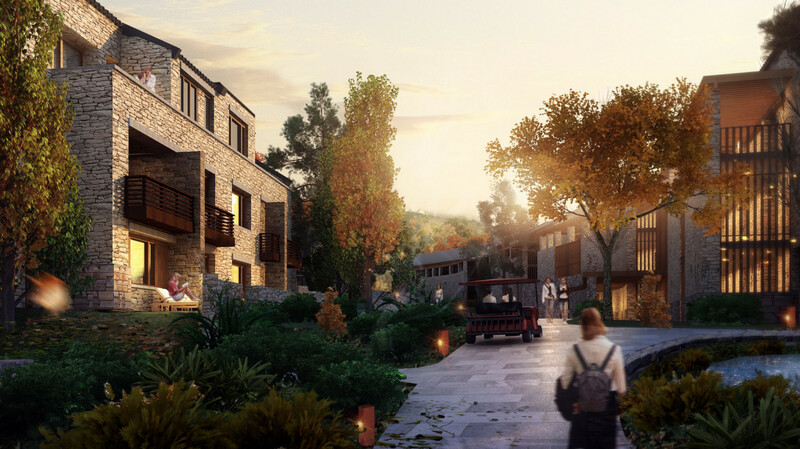 The property is designed to provide a setting suitable to the rejuvenation and nurture of the whole person, focused on five themes: Back to Nature, Meditation for Body, Meditation for Mind, Classic Academy, and Sustainability. 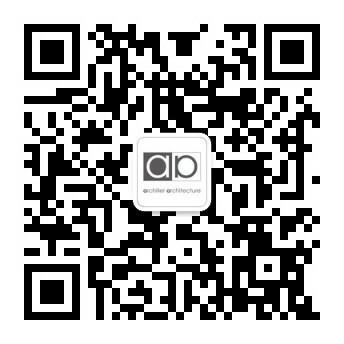 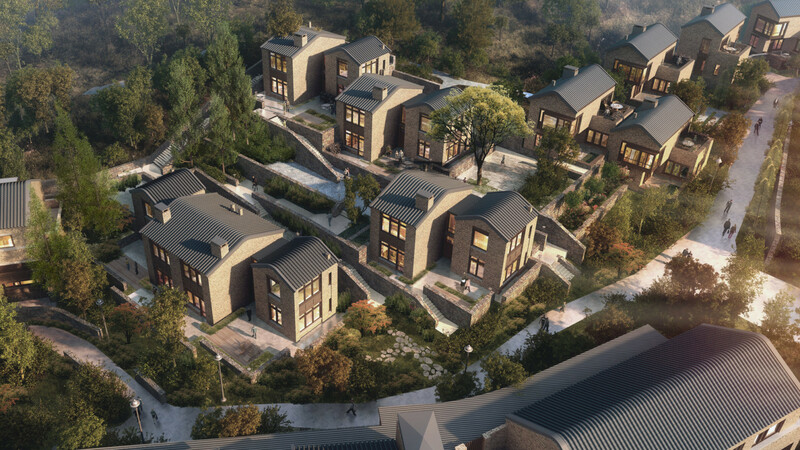 The project is located in a scenic valley in the Huairou district, about 70km from Beijing city and 80km from the Beijing International Airport. 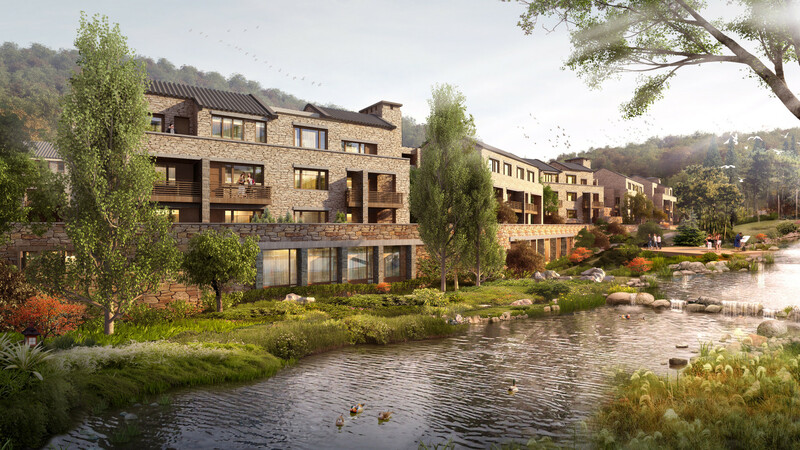 The project site area is about 29,000sm, including 108 standard guest rooms, 6 suites with entrancing views of the Great Wall, and 14 individual villas carefully integrated with the hillside.